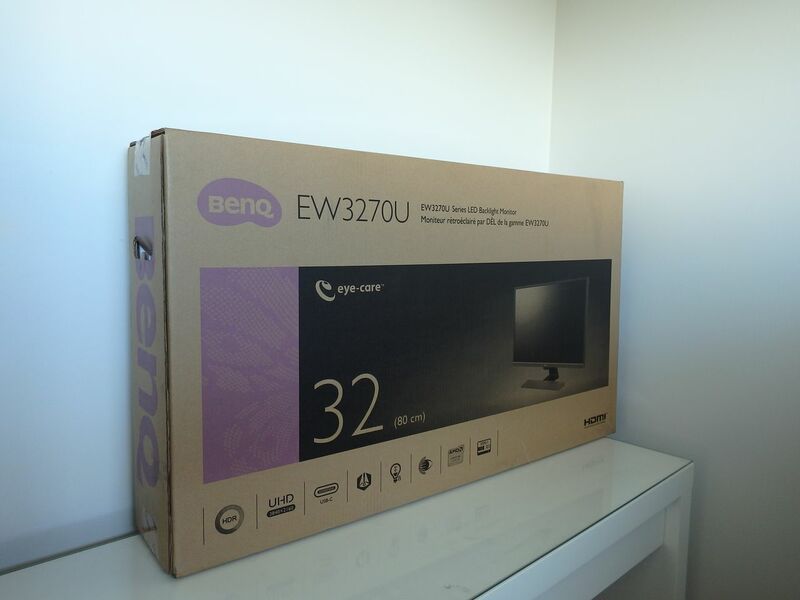 After thoroughly enjoying our experience with the 28″ EL2870U 4K display we jumped at the opportunity from BenQ to test the bigger 32″ sibling. The panel size isn’t the only difference and we found that the EW3270U delivered an even more versatile experience than we had expected. 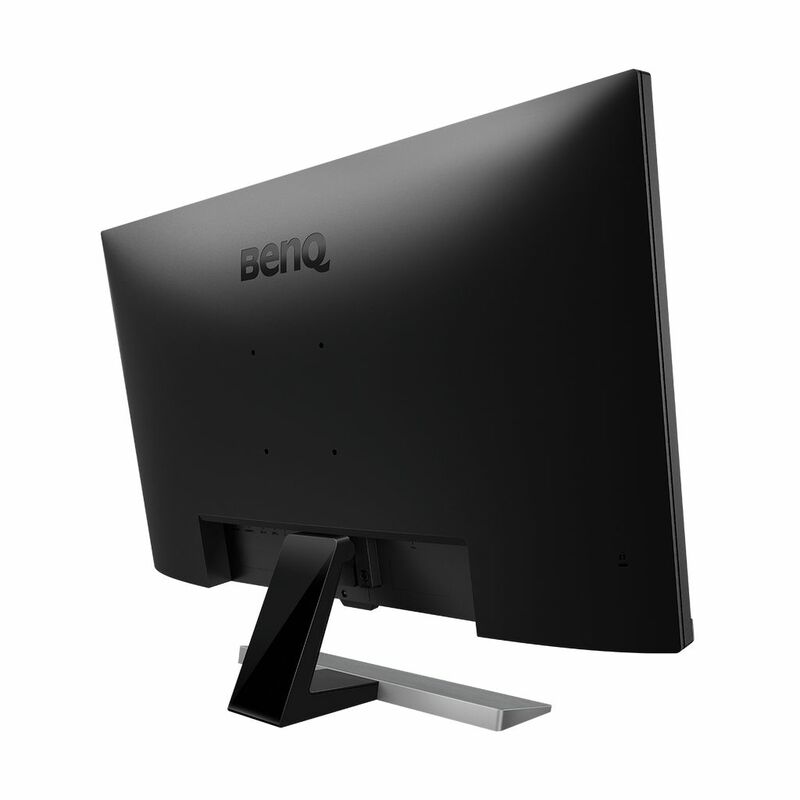 The BenQ EW3270U is a 32″ 4K monitor with HDR, Brightness Intelligence Plus (B.I.+) and USB-C connectivity. 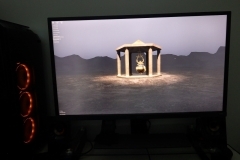 At 32″ (80cm) it isn’t a small monitor, taking up a good portion of the average desk, however the 3840×2160 resolution on a 32″ panel is certainly comfortable to look at both up close or even further away. My concerns about the EW3270U being too big for my workspace vanished within the first day of testing it. 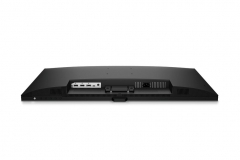 This really is an all-rounder and is ideal for anyone who needs a monitor for productivity, gaming and entertainment via a media player, console or HTPC. With four inputs, internal speakers and a 3.5mm audio output for speakers/headphones, this is one monitor to satisfy many needs. 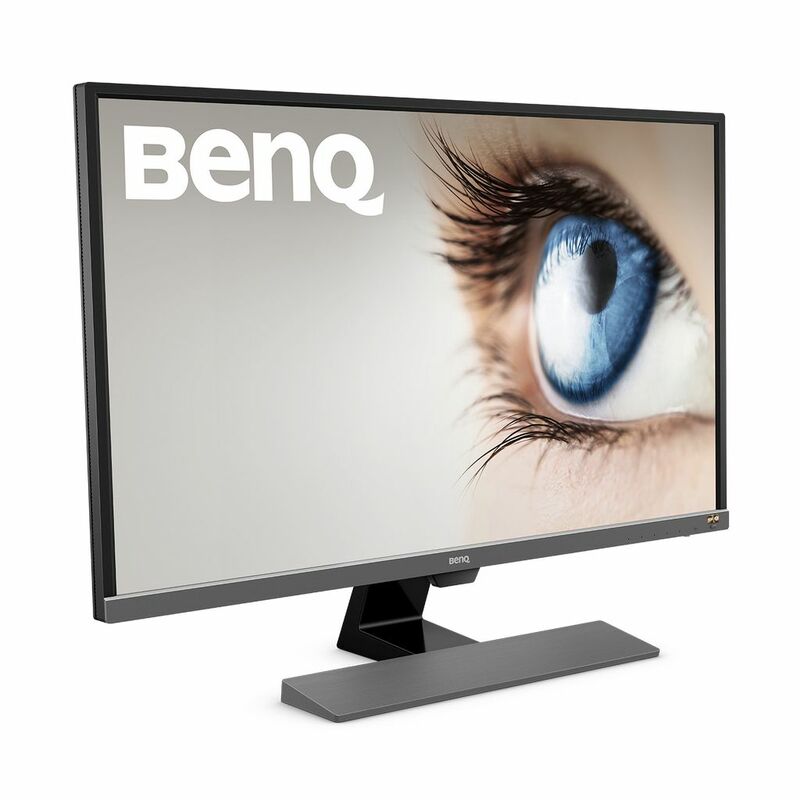 4K at 32″ display delivers a comfortable pixel density for viewing both up close for productivity or gaming, or a little further back for movies/media content. The EW3270U can automatically adjust the brightness and colour temperature based on the viewing environment to help reduce eye strain. I’ll talk more about this later but it’s an important feature. The implementation of HDR is basically the same as what we experienced on the EL2870U. You can have HDR permanently enabled so that it emulates HDR regardless of the content support level or you can have it turned off so that the HDR function is controlled by the source. 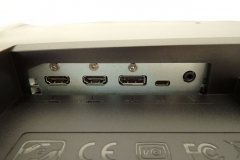 Devices will detect that the monitor is HDR compatible and in the case of our PC testing, we were able to choose if our operating system or games output in HDR or not. 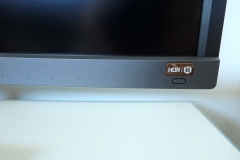 There is a button on the front of the monitor that allows users to force HDR on for non-HDR content but I wouldn’t recommend it as the source really needs to implement HDR properly to make the output lighting look right. Side Note: Some of the responses I had from our previous EL2870U review was that the 300 cd/m2 brightness wasn’t enough to make HDR effective or even noticeable. I’ve also noted this suggestion on different forums. In my experience so far, after over a month of using this monitor (and the EL2870U) for gaming, the difference in colour and detail is absolutely noticeable. 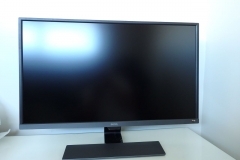 The brightness of a monitor shouldn’t be compared to the brightness of a television panel because you are sitting a lot closer to the monitor and it doesn’t need to be as bright. 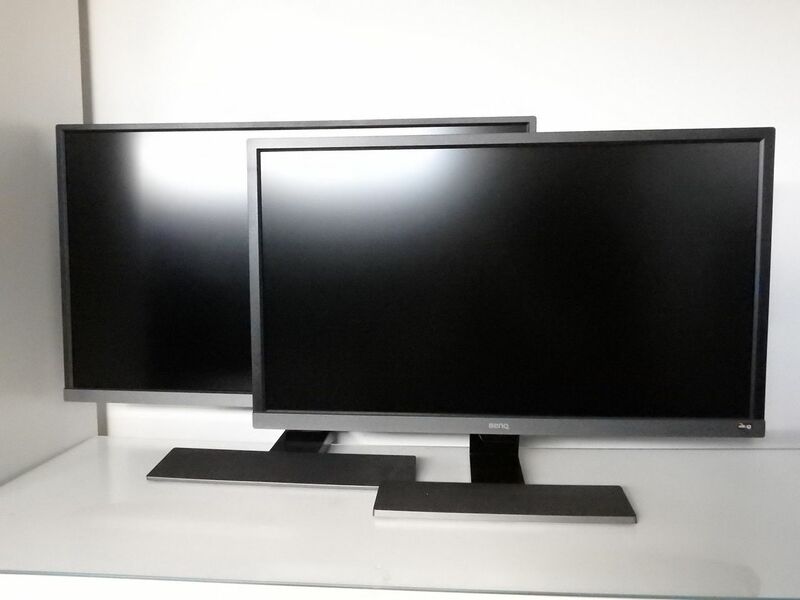 I’m not saying that the EW3270U or the EL2870U are perfect for HDR – just that the difference is noticeable and I’d certainly prefer to have HDR on these monitors than not. 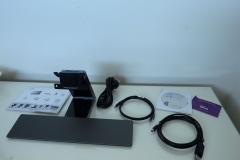 The DCI-P3 is a wider colour range than sRGB when available in its entirety. 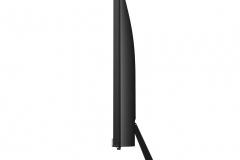 The panel used in the EW3270U is rated to display 95% of the DCI-P3 standard, delivering great colour reproduction. This is a key differentiator to alternative TN panels that will have a faster response time but a lower colour range and viewing angle. 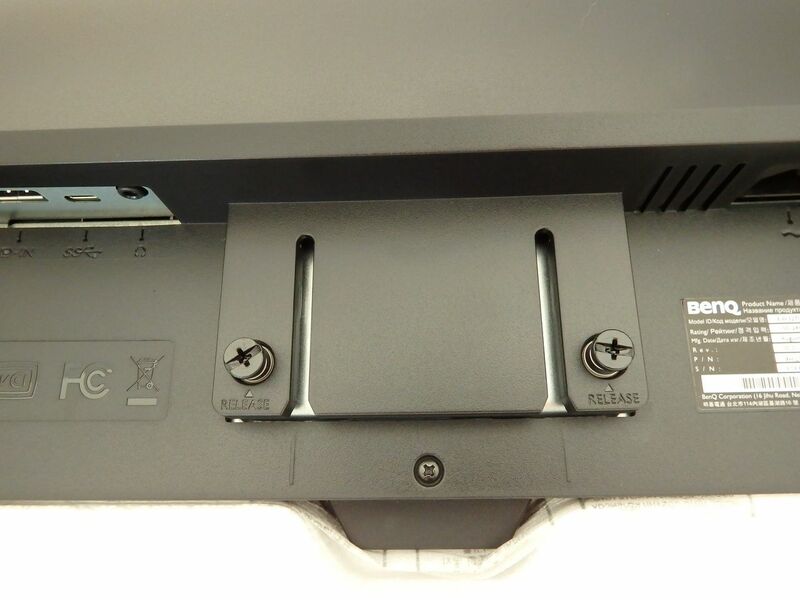 The EW3270U also features a Kensington Lock, 3.5mm Audio Pass-through and VESA mounting holes. The manufacturer specifications are below. 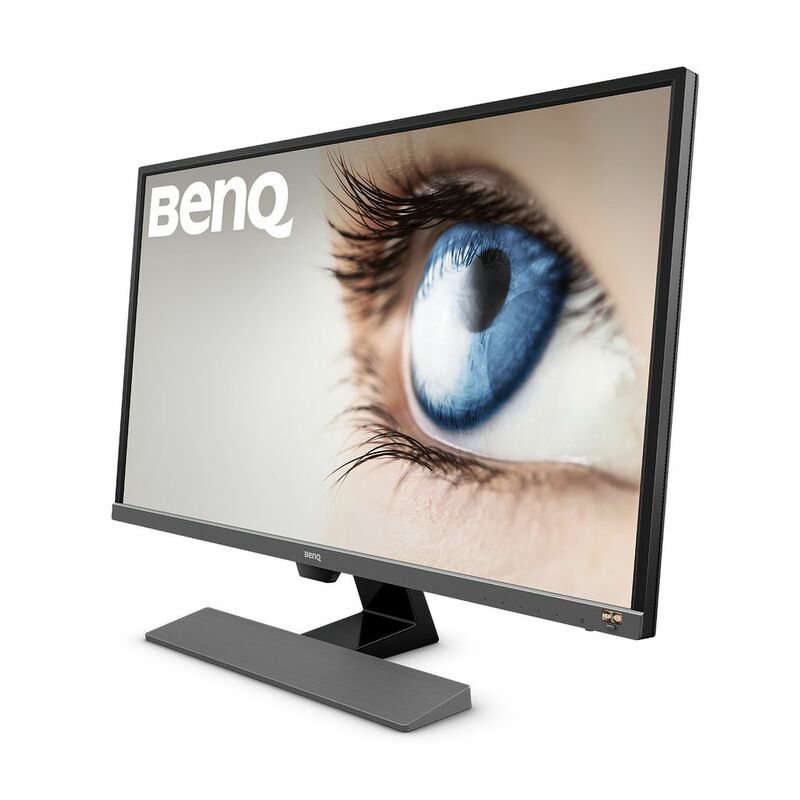 When comparing to other monitors, take special note of the viewing angle, Pixel Density (PPI), Contrast Ratio, Response Time and Colour Gamut. 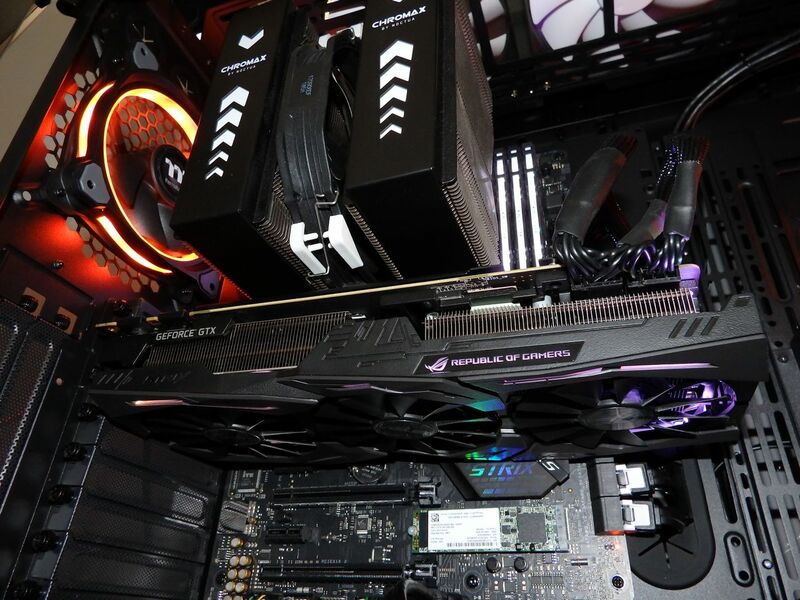 We used our ASUS ROG X470-F STRIX Gaming test system with ASUS STRIX GTX 1080Ti OC. 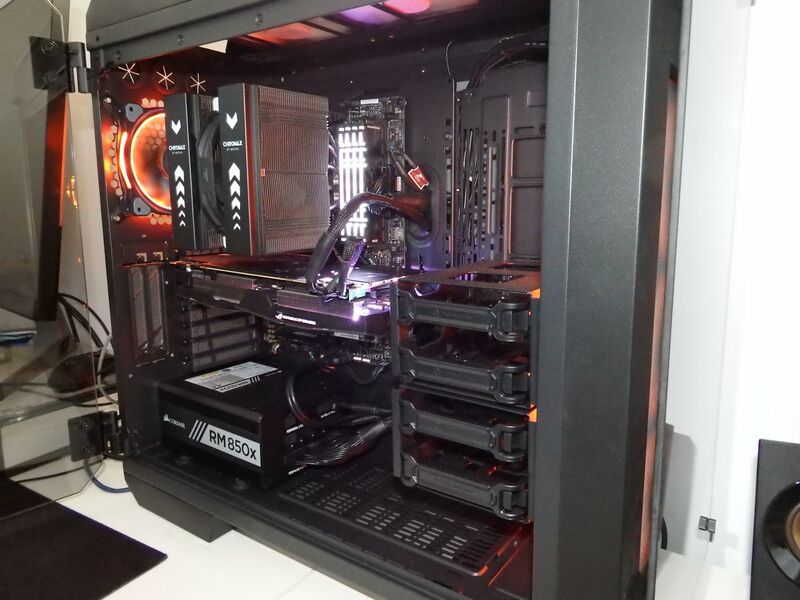 Recently we moved this system into the Thermaltake View 71 case and swapped out the water cooling for the Noctua NH-D15S air cooler. The D15S remains our outright favourite CPU cooler due to the simple design, quiet operating profile and solid performance. The components listed in our test system below are all parts that we would purchase with our own cash if building a top end gaming system. 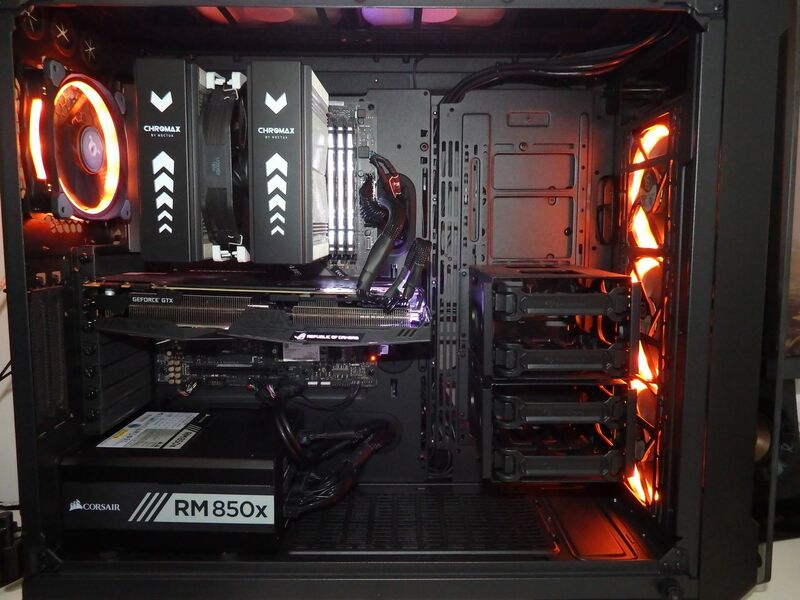 To celebrate the launch of The Division 2 from Ubisoft/Massive, we set the lighting of the test bench to be in the orange and white theme. 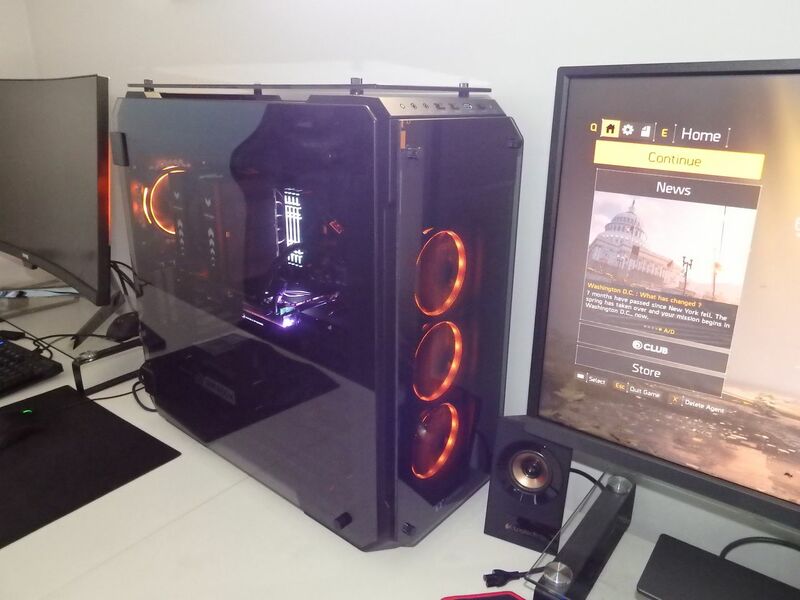 The Division 2 is a great game and we thoroughly enjoyed testing it at 4K with HDR and FreeSync / G-SYNC Compatibility mode on the EW3270U. My initial impressions were extremely positive and I ran through the AIDA64 tests after powering the monitor on for the first time without any issues noted. After 4 weeks of daily use, I repeated the process and once again found the monitor to be problem-free. Colour uniformity was good across the whole display; horizontal and vertical alignment were also spot on. I couldn’t find any bright or dead pixels either. 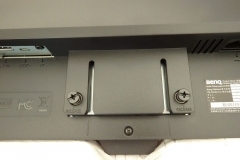 The viewing angle was also very good and notably better than the TN panel in the EL2870U. 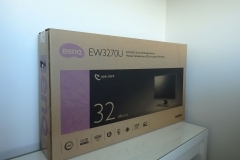 The EW3270U’s 10-bit panel delivered great colour reproduction with both vivid and pastel colours looking true. I didn’t have any concerns about the contrast of the EW3270U. Blacks were deep enough and whites looked clean and vibrant. In movies or games, the default settings of the games were fine in terms of providing a balance for shadows and immersion. The automatic adjustments made by B.I.+ didn’t seem to have a negative effect as they are very subtle and occur at the same time as when room lighting conditions change. As an example, the sun came out from behind a cloud one afternoon and the office was filled with light, the sensor reacted immediately and the image adjusted accordingly. Whilst I probably wouldn’t have adjusted the monitor manually had it been without this functionality, (and I’d have just accepted that the screen was a little harder to see), having the brightness auto adjust made it easier for me to continue what I was doing. The panel anti-glare coating is great – whilst it’s matte, it isn’t grainy. 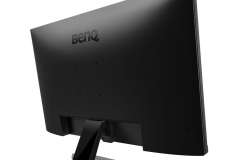 This is consistent with all of the BenQ monitors that I’ve seen in recent times which makes it suitable for work spaces that have variable lighting conditions. Any panel will struggle with direct sunlight hitting it but the matte coating does a good job at preserving the screen image when there is a lot of ambient light. The only FreeSync card I had available was an RX470 and it clearly wasn’t going to do this monitor justice at native resolution with regard to FreeSync. 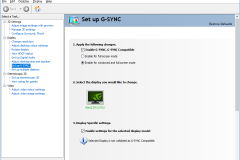 Please note that the EW3270U isn’t certified as being G-SYNC Compatible but when I tested it (using our ASUS GTX STRIX 1080Ti OC), the monitor worked fine and the G-SYNC tests demonstrated a much smoother experience without any tearing with G-SYNC enabled. 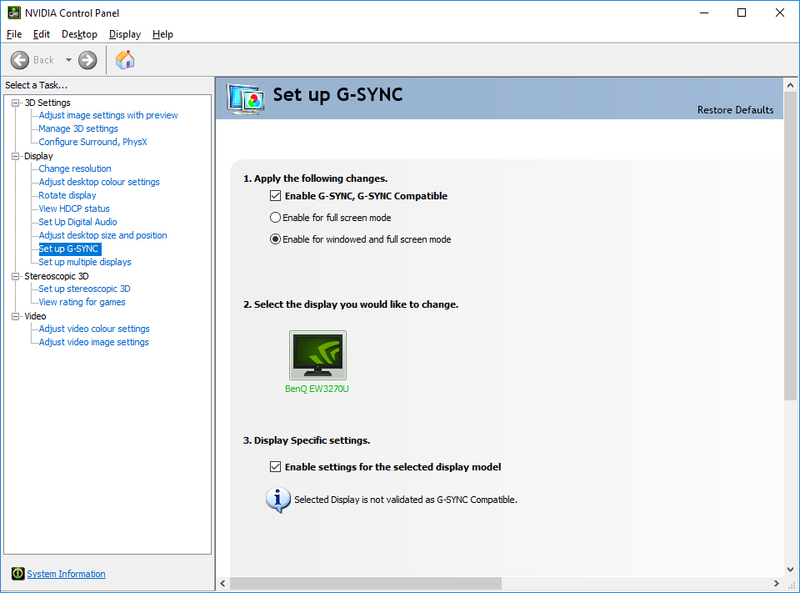 The G-SYNC testing applications showed clear tearing with G-SYNC disabled in the NVIDIA control panel when compared to the smooth experience of it being enabled. 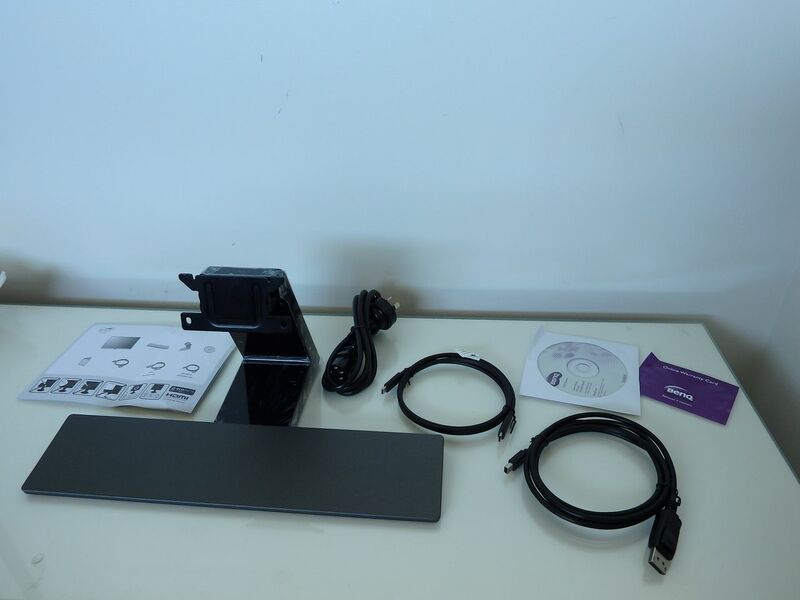 The speakers are serviceable for monitor speakers and whilst they leave a lot to be desired when compared to powered desktop speakers, they are fine for playing games, watching content and receiving notifications for emails, etc. You can listen to music via the built-in speakers but the sound does seem to lack depth and life. This is true of all monitor speakers with this specification and shouldn’t be seen as a negative. 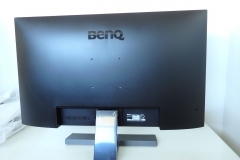 The fact that BenQ included speakers in this product is a win for anyone who buys an EW3270U. 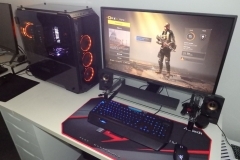 Coming from the 28″ EL2870U, the 32″ EW3270U felt big and I adapted to it within a couple of days but the monitor only felt ‘too big’ when playing CS:GO. I can’t explain why I only had this feeling using this title but I didn’t have the same feeling when playing Apex Legends, Battlefield 4 or Call of Duty Black Ops 3 or 4. Elder Scrolls Online was a rich experience and the larger screen added to the immersion. 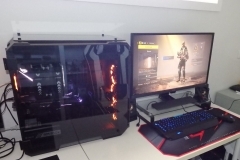 The Division 2 was also very immersive on a 32″ desktop setup and the HDR was also utilised well by this title. Racing games and flight or space sims are well suited to this monitor as you tend to sit back a little with a racing wheel or flight stick setup which can put you right in the sweet-spot for optimal viewing distance. The larger screen works well for sharing, designing, creating and anything that even remotely smells of productivity. I connected my laptop to the EW3270U and worked on document reviews with two Word documents side by side for comparison. Excel spreadsheets are also a dream at 4K with so much space available that it’s practical to open multiple workbooks and have them on the screen at the same time. When preparing reviews, it was handy to have the photos displayed in one area of the screen, my notes in another while drafting content – in the past I’d need to be using multiple screens for this experience. This is like having four 1920×1080 monitors together without the bezels – the screen realestate is amazing. This is where the pixel density becomes very subjective. 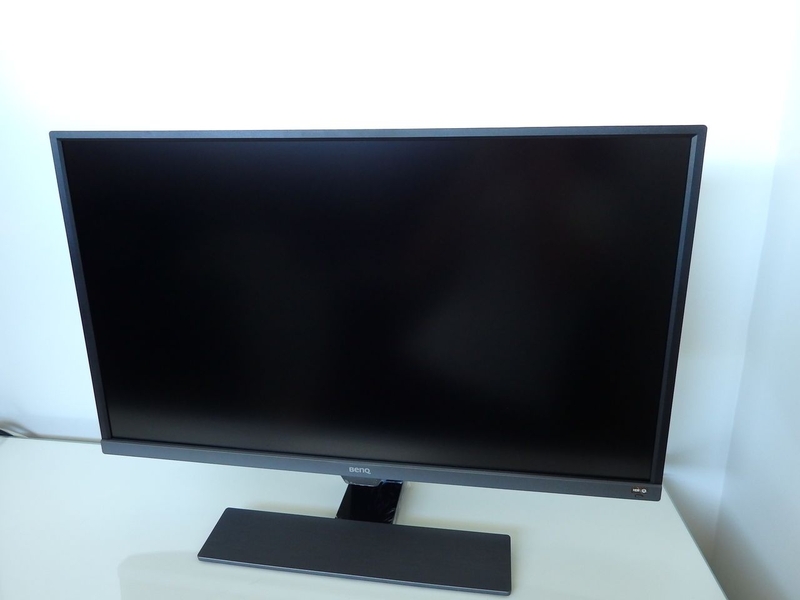 The EL2870U is a 28″ 4K monitor so it has the same resolution but on a screen that is 4″ smaller – meaning that the pixels are smaller and more tightly packed together. This also means that the screen can appear sharper but some people may find it harder to read text or see detail in photos depending on their distance from the screen and eyesight. I used both screens side by side and found the pixel density on the larger EW3270U to be more comfortable for productivity tasks where I was reading a lot of text at native 4K resolution. The VA panel has a superior viewing angle and wider colour gamut so this panel is a more suitable option for content creators than a typical TN-type panel found in cheaper monitors. Movies, YouTube and media were all clear and I didn’t see the need to change from the default profile between gaming, productivity or media. I watched a variety of movies while testing this display with a pair of Audioengine A5+ wireless speakers and didn’t have any issues with colour, contrast or motion/ghosting. 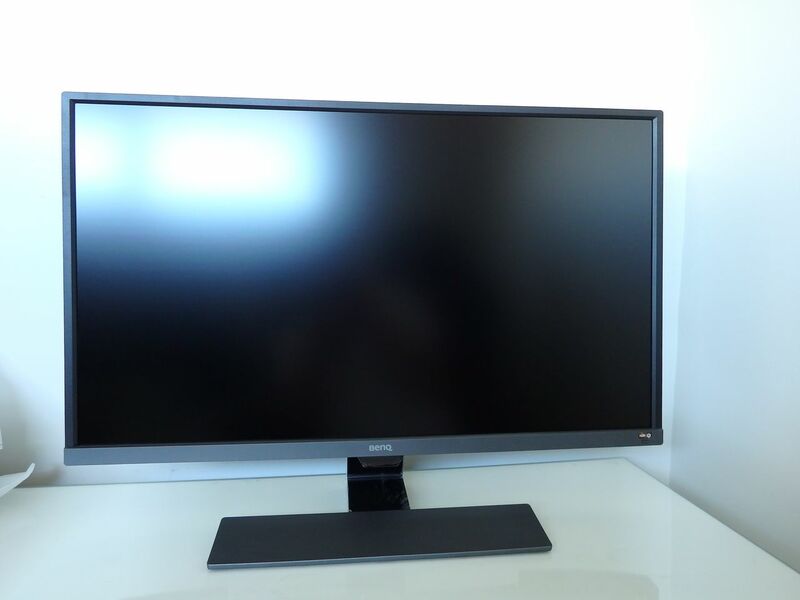 I can see this monitor being used for productivity on a desk in a study space by day and then turned to face a couch or bed for use as a TV after hours. 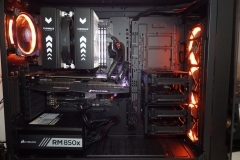 This level of connectivity makes the EW3270U extremely versatile. OK – so I didn’t use a real console but I did use an Xbox controller to play some games including Rocket League, Trackmania and a few other titles from the couch and the experience was better than on the smaller EL2870U due to the larger screen size and improved viewing angle of the VA panel. 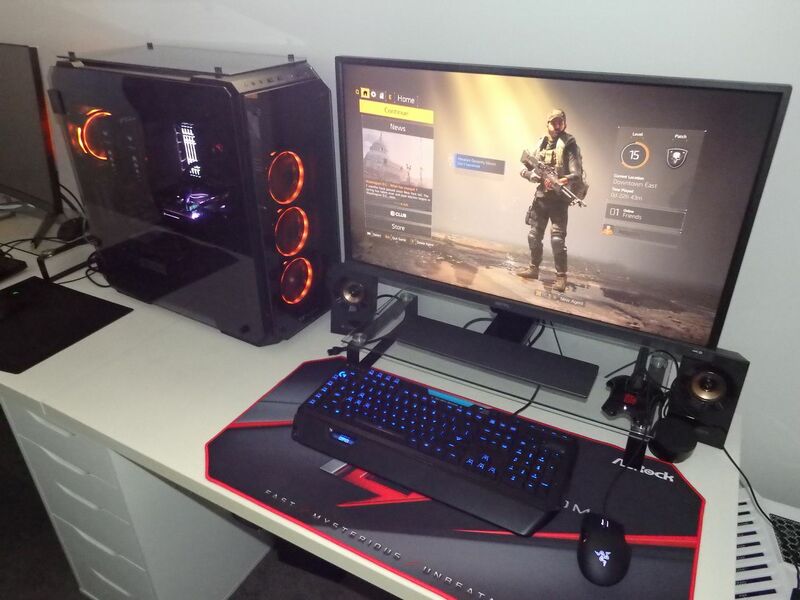 As a multi-purpose display, the EW3270U showed that you can work on it by day and kick back away from your desk to smash out some console gameplay after hours making it a great option for a shared space like a family study nook or home office area. 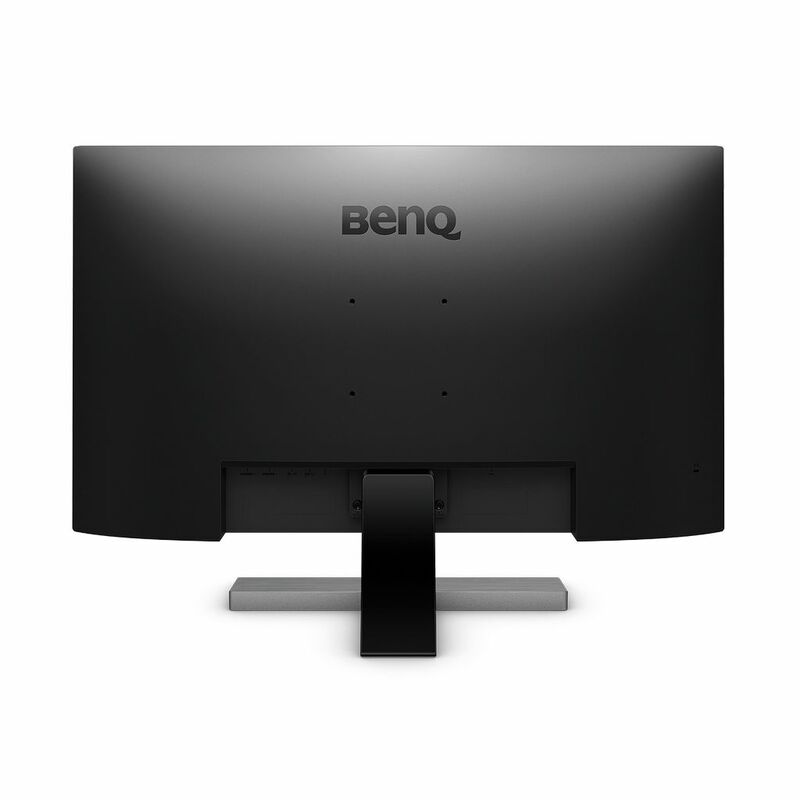 This is the third monitor I’ve tested from BenQ with Brightness Intelligence Plus Technology and I’m a complete believer now. B.I.+ uses a sensor to detect the lighting levs and colour temperature of the viewing environment and the monitor will adjust the display to deliver a more comfortable brightness level and colour temperature of the display. 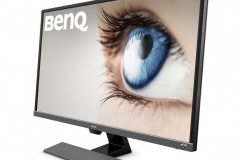 It also takes into account how long the monitor has been used and will wind back the brightness accordingly to reduce the chances of eye strain. I’ve been asked by readers in past reviews if this is distracting and if it impacts on how games or movies look. 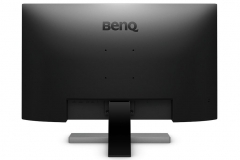 I don’t find it distracting and I use one or more of the three BenQ monitors with B.I.+ enabled every day for 5 hours or more. I also don’t feel that it takes away from games or movies – if I thought it compromised my gaming experience I simply wouldn’t use it. B.I.+ works whether HDR is on or off so it doesn’t impact on the monitor’s ability to auto switch to HDR, either. However, it can take a little getting used to and B.I.+ won’t be for everyone but it’s easy to disable and I’d much rather buy a monitor that had it rather than one that didn’t. After using this feature now for a few months solid, I really appreciate it and would actually think twice about any monitor that doesn’t have some kind of eye-care features. The auto adjustment functionality of B.I.+ means that I don’t even have to think about it, I simply use the monitor and let the sensor adjust the output depending on changing natural/artificial light and how long I’m sitting at my desk. We are starting to see more games that use HDR. 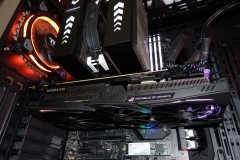 In particular, Far Cry 5 and the Division 2 looked better with HDR enabled on the EW3270U. I also watched some HDR sample media and the difference is noticeable. 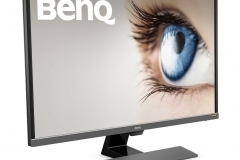 I’ve seen people comparing TV HDR standard to the HDR implementation on far less expensive monitors like this one and the BenQ EL2870U or EX3501R – and much of the commentary/opinion that I’ve seen isn’t fair. These monitors don’t have the same grade of panel as a $5,000+ Television and whilst the brightness of these monitors isn’t the same as a TV, you are sitting much closer to it so brighter areas of HDR content don’t need to be as bright as a TV. High Dynamic Range content generally looked much more vibrant with brighter lighting effects such as reflections, flames, explosions and flashes. Transitioning from light to dark was more realistic in supporting titles with HDR enabled in the game options. For the street price, the HDR functionality on the EW3270U is good and should be seen as a genuine differentiator when compared to similarly priced monitors that don’t have HDR. 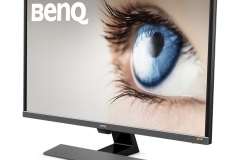 4K – Do you need the 28″ EL2870U or 32″ EW3270U? This is a big “first world” problem but I’ve had a lot of people asking the question. I’ll try to answer it as best I can below. Above: EW3270U (behind) compared to the 28″ EL2870U. It has a sharper picture with higher pixel density so the 3840×2160 resolution looks more precise and smaller compared to the 32″ alternative. 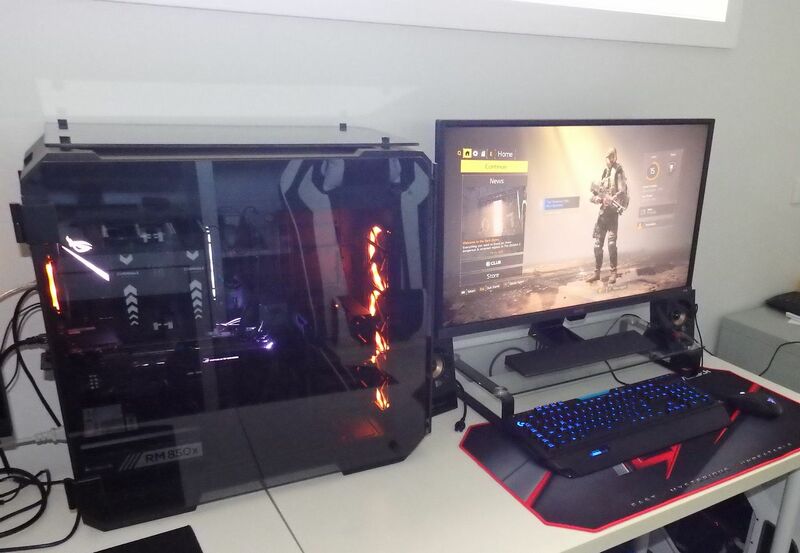 The 28″ panel means that your eyes have less distance to track when playing games on the screen – this is more of an advantage for first person shooter titles and competitive games where the time to identify an opponent and then take action is critical. For other games it doesn’t really matter. The 28″ panel is more likely to fit on an average desk without the same space sacrifices that a 32″ panel requires. The EL2870U has a TN panel with an inferior viewing angle when compared to the VA panel of the EW3270U although this is negated by the fact that users are expected to be sitting directly in front of the EL2870U more often than not. You can buy the EL2870U for around AUD$570. The looser pixel density means that the image detail is more comfortable to look at up close and easier to see from further away. Despite the looser pixel density, there is still no ‘screen door’ effect on the panel. 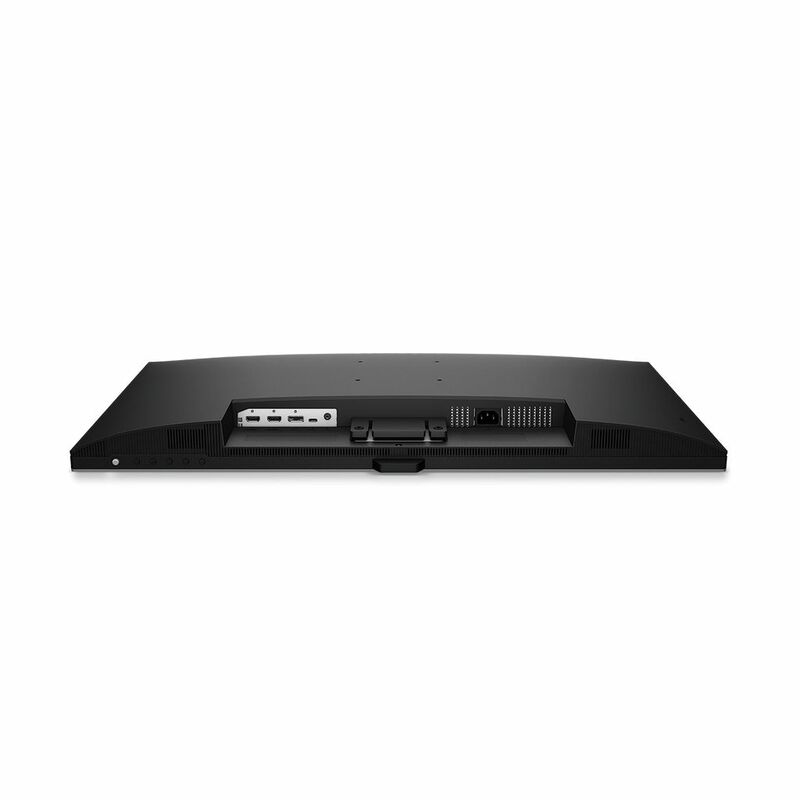 The VA panel delivers a wider viewing angle so you don’t have to be front on and it’s a better monitor for sharing what’s on the screen or watching it from different positions in a room. 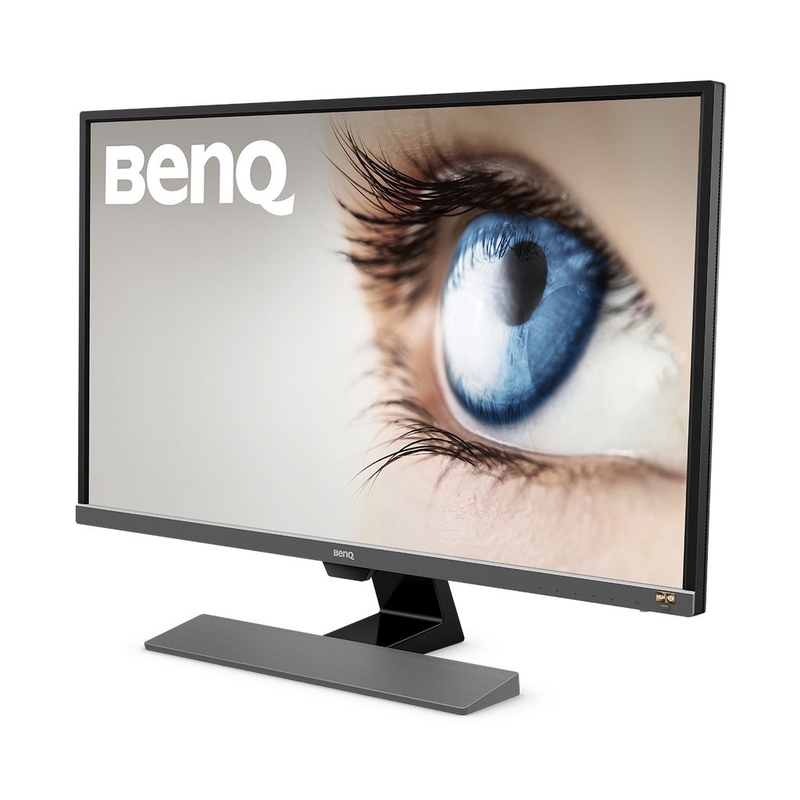 The larger 32″ panel takes up more of your peripheral vision so games and movies are more immersive than on a smaller monitor. Games like RPGs, strategy or 3rd person view titles are perhaps a little easier to play as you can see the detail whilst sitting a little further back. Much easier to work through spreadsheets and documents as the native resolution is a little larger and easier to read than on a 28″ 4K panel. The EW3270U will set you back AUD$899. 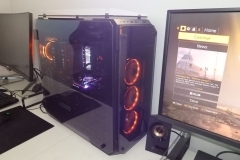 Both panels have HDR, FreeSync, B.I.+ and the same stand/frame design. 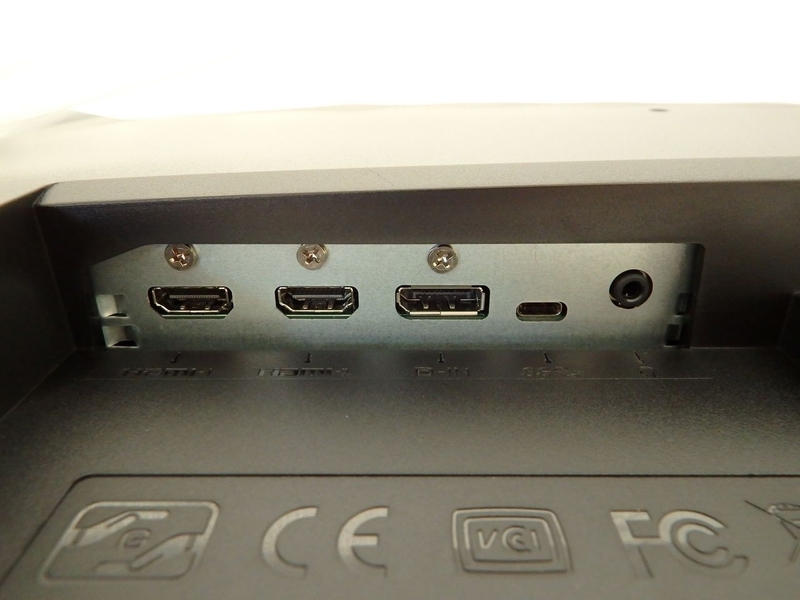 Note that the EW3270U has USB-C input where the EL2870U doesn’t. 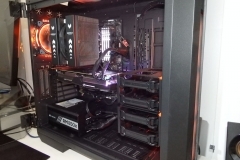 Both panels also performed well as G-Sync compatible with a GTX 1080Ti GPU. After using both side-by-side for over a month, I’d have to lean towards the EW3270U due to the slightly more comfortable pixel density, better viewing angle and USB-C connectivity. At $899 the EW3270U isn’t cheap but it’s still a competitive price for the specification. 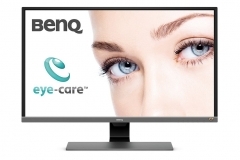 When you look at the connectivity, B.I.+ eye care technology, HDR capability and viewing angle of the VA panel the price looks even better. You can buy the EW3270U via the Amazon links below. As an all-rounder, the EW3270U would be my preference for a 16:9 panel as it allows for full 4K resolution and has a VA panel and wider viewing angle. I’ve appreciated the colour reproduction, sharpness and HDR support when gaming while also benefitting from the contrast and audio passthrough for media viewing. The versatility of being able to use the larger panel far outweighs the compromises needed to accommodate a larger 32″ panel on my desk. 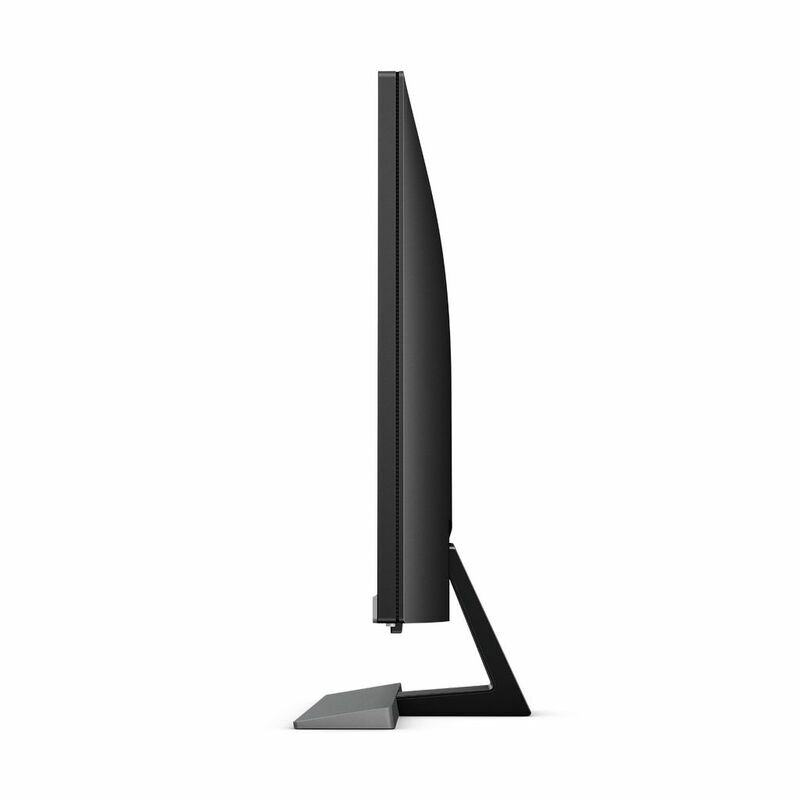 I’m the sort of person that is lucky enough to have different workstations for different purposes but if I could only have a single workstation and had to do everything on one monitor, I’d have to choose a 32″ 4K display – (very probably this one). 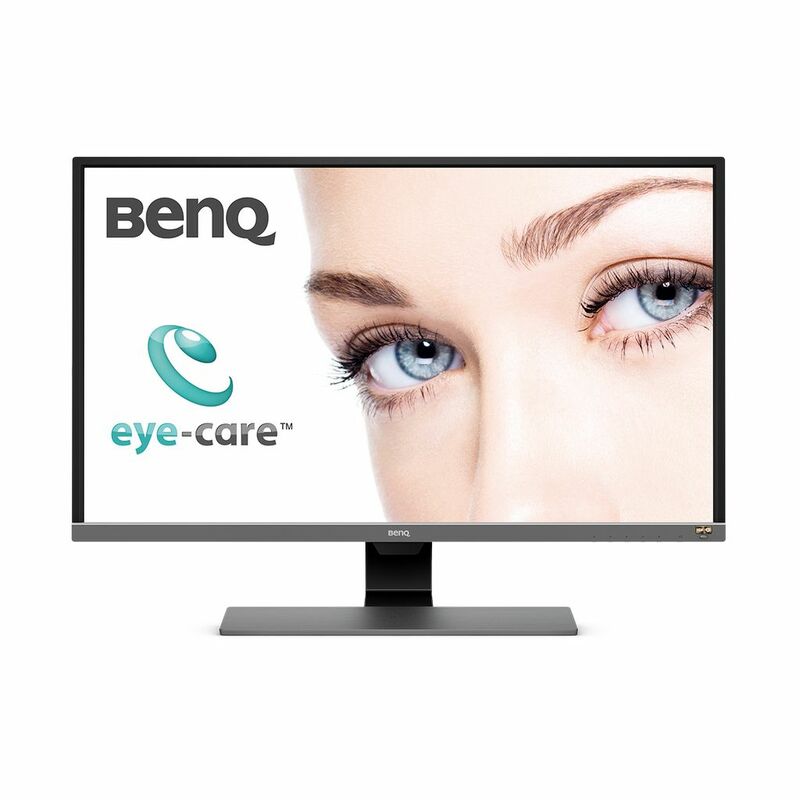 For a true multipurpose work and play configuration it’s hard to go past the EW3270U with its solid viewing angle, HDR support, 3840×2160 resolution, FreeSync support (that seemed to work fine as G-Sync compatible in our testing) and Brightness Intelligence Plus technology. 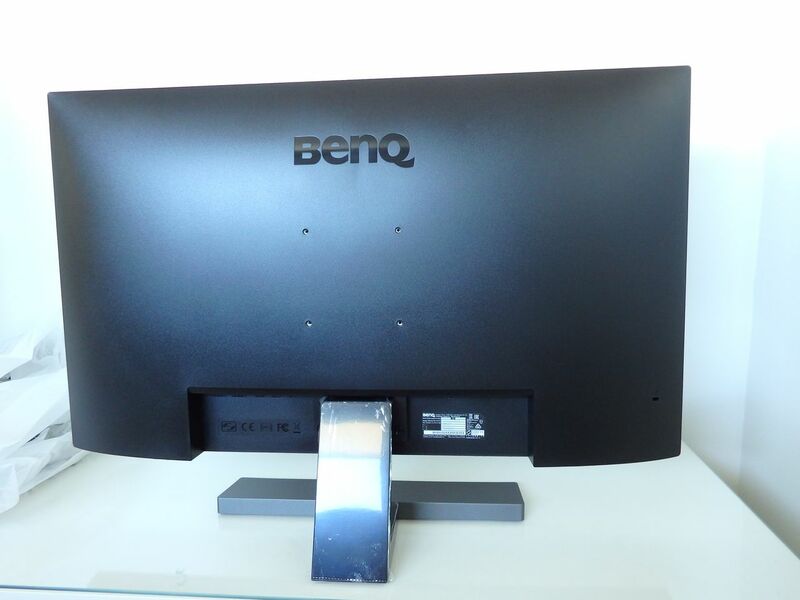 Don’t underestimate the B.I.+ function either – I’m sure it’s saved me headaches on this and the other BenQ displays I’ve tested. All up, the EW3270U is a great display at a competitive price that suits many needs with a solid all-round experience. If I’d bought this monitor for the AUD$899 retail price I’d be feeling very happy with my purchase.